Coach Eric Force leads our Strength Conditioning classes here at High Noon. Eric began dedicated strength and conditioning coaching in 2010 after receiving his Weightlifting Trainers Certification from USA Weightlifting. His focus is teaching athletes how to become better versions of themselves through supplemental weight training and auxiliary weightlifting movements. 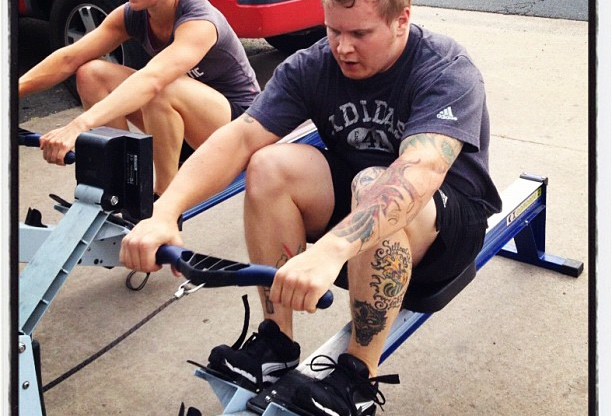 Shortly after becoming a USAW Sports Performance Coach, he received his Level 1 Trainers Certification with CrossFit. This helped him progress his understanding of High Intensity Interval Training, how it best serves competitive athletes succeed in their particular sports, and how to apply it into his Strength and Conditioning programs. His approach to strength training is built off of linear progression and focuses on helping both new and even seasoned athletes understand and apply the movements necessary to become proficient weightlifters.